Jake Bugg has said that supporting The Stone Roses earlier this week was a blessing as he is nervous about supporting Noel Gallagher at Camden Dingwalls on August 14th. "The Stone Roses gig was a blessing really because I was nervous about the Noel Gallagher one next week in London for War Child. You know, meeting your idol. "But now I'm not even really thinking about it. "I thought it was going to be a bill with a few acts on but it's just me and him. "And I think he's playing on his own as well. "I'll be going to America with him and Snow Patrol on my own. Noel's people were worried about the logistics of taking my band. It's not hard for us to set up; it's only bass and drums. At least I'm not going to have to pay as much (laughs). 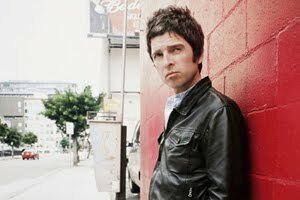 "I'll be doing Europe with Noel as well before the American tour and that will be with my band. Taken from thisisnottingham.co.uk read the full article here.